Three important issues have recently attracted researchers to study the economics of disability. First with the availability of sophisticated "data sets", it has become possible to conduct highly quantative investigations of the relative economic impacts of various types of disabling health problems. Second, the passage of the Americans with Disabilities Act in 1991, and the subsequent implementation of its employment provisions, focused national attention on the continuing scarcity of employment opportunities for disabled persons. 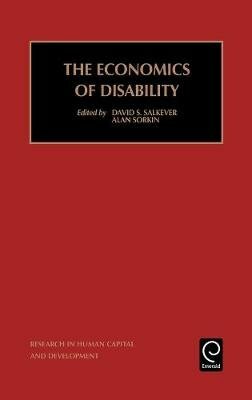 The tools of analysis that have been developed over the past several decades to study racial and gender discrimination in labor markets are applied in this book to study the experiences of persons with disabilities. Third, the past several decades have witnessed a rapid growth in the public and private costs of disability support programs. Many economists recognize the need to design such programs that would provide continued economic security, without the work disincentives, high budgetary costs, and efficiency losses of existing programs. A major purpose of this volume is to bring together empirical studies dealing with all three of the above issues in a single volume. By doing this we can illustrate the breadth of current research in the field and allow the reader to see the connections and common threads that underlie this scope of concerns and research objectives.